See Gift Certificate details in the product description below! 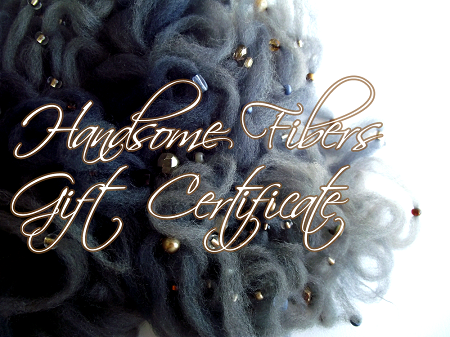 Gift certificates are the perfect gift when you don't know what to give! Select the amount you wish to send in the drop down selector box. Amounts range from $10-$500.00. Note: If you would like to give your gift certificate in person, or mail it to someone, just email the certificate code to yourself, then make your own to print out on your home printer. You can make fancy gift certificates at home to print out with many of the free programs already on your computer, MS Word, Paint, Excel. There are also free online gift certificate templates that can be used to design your own too. Simply put the code on your home generated gift certificate for your recipient to see with your own design then print. Our gift certificates are electronic and delivered automatically via email. Each gift certificate has a unique code that can be entered into the coupon code field during checkout. The discount from the gift certificate will be visible after progressing to the final step of checkout. Note: Promotional coupon codes and holiday sale events are not valid on Gift Certificate purchases.